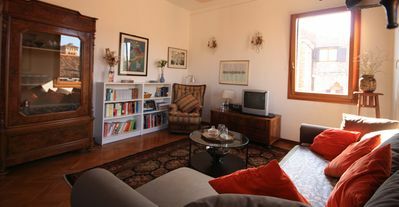 Villathis property is a characteristic and welcoming cottage. It sleeps six people. From Villathis property you will enjoy a characteristic view of the swimming pool and of the garden and of the surrounding countryside. 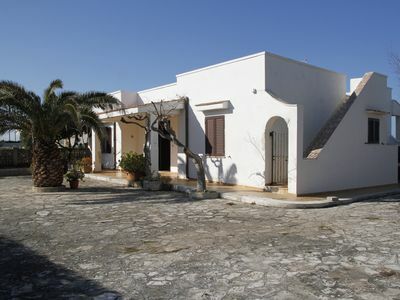 Villathis property is 50 square meters (540 square feet). It features a shared swimming pool, a private patio and winter heating. 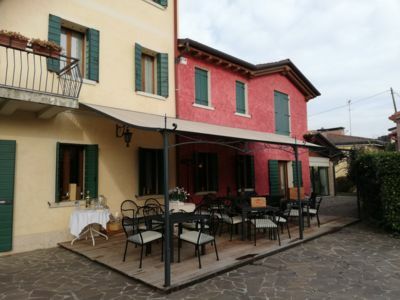 You will be roughly 6 km (3.7 miles) from Colle di Val del'Elsa, where you will find restaurants and shops. To stay at Villathis property you will need a car. You will be able to park it on the premises, in a private parking lot. 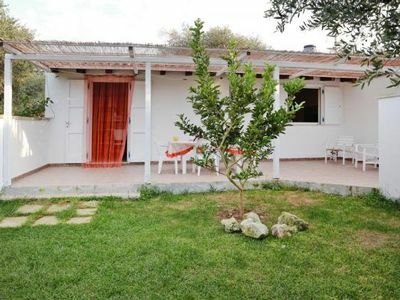 Villathis property is one of the holiday homes available in a small complex. Please find a general description of the complex below, and please scroll further down for a description of Villathis property. 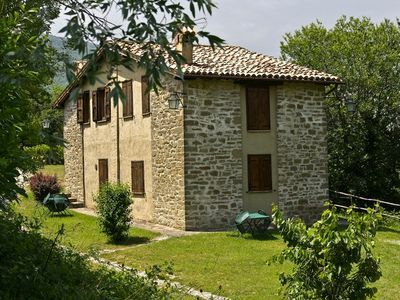 The apartments Villa Saveria are part of a medieval hamlet located on a tableland (300 meters or about 984 feet above sea level) in the heart of the Senesi Hills. 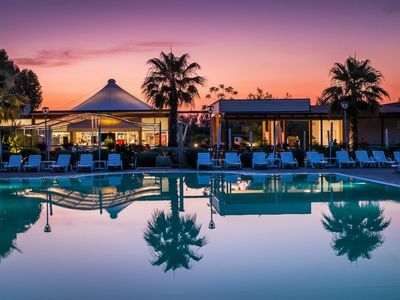 It is surrounded by vineyards and olive groves. You will be in the middle of the region where the Chianti Colline Senesi is produced. You will arrive in the place after going through a long way framed by high cypresses leading to a wide area where you will see four beautiful buildings in stone. Amidst and around the buildings are green lawns, high pine and oak trees, and several flower beds and hedges well-cared for. 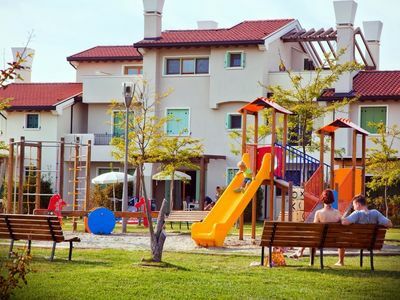 One part of the area is equipped as a playground for your kids to play, right on a beautiful green lawn delimited by hedges. The stone houses, wisely restored, boast all the fascination of Tuscan rural architecture, with loggias, terraces, outdoor staircases, and lovely courtyards distributed among the houses and providing outdoor spaces where one can pleasantly relax. From any place in the hamlet you will feast your eyes on a horizon of small green hills intercalated as waves of an ocean: it is the sweet scenery of the Senesi Hills, many times reproduced by several artists. 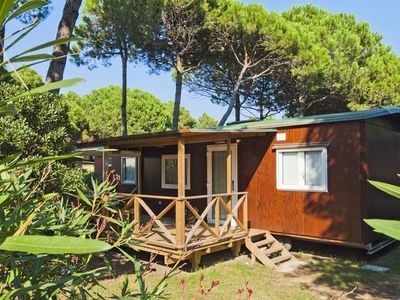 The atmosphere you will be involved by is that typical of the Tuscan countryside, which has infatuated many visitors. Get ready to enjoy a vacation of pure relaxation! 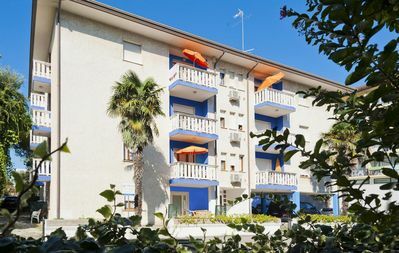 The stone buildings of the hamlet are subdivided into 12 small vacation apartments which share the use of the swimming-pool and the sun-drenched area. The proprietors of the hamlet produce great wine, which can be purchased in the place. Cooking classes can be organized upon request. The swimming pool is 8 meters (26 feet) large by 11 meters (36 feet) long, from 1.20 meter (4 feet) to 1.5 meters (5 feet) deep. The area is equipped with tables, chairs, deck chairs and sun loungers. 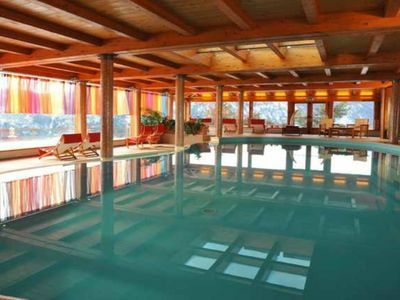 From the swimming pool you will enjoy a pleasant view of the Senesi hills and of the vineyards. 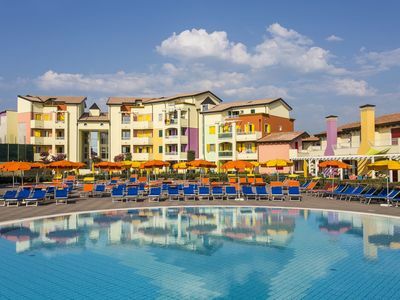 You will share the pool with the other guests staying at the complex. 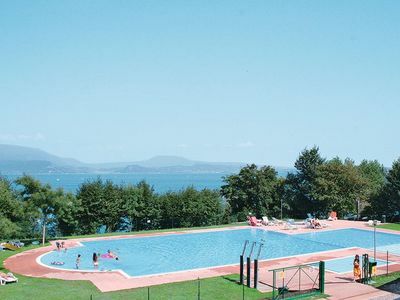 The swimming pool is open from the beginning of June until the end of September. The garden is 2000 square meters (21500 square feet) large. It is partly shaded by pine trees and by cypresses. It is equipped with a table and chairs. 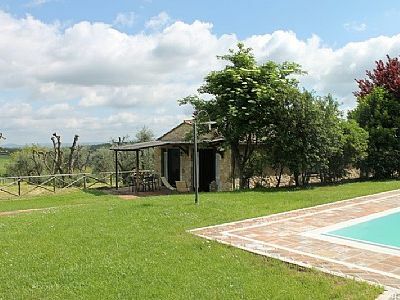 From the garden you will enjoy a thrilling view of the Senesi hills and of the vineyards. You will share the garden with the other guests staying at the complex. The patio is 15 square meters (160 square feet) large. It is partly shaded by a roof. It is equipped with a table and chairs. From the patio you will enjoy a pleasant view of the Tuscan countryside. The furnishings of the living room are warm and welcoming. The furnishings include a divan that unfolds into a double bed. In the living room you will also find a cooking area. 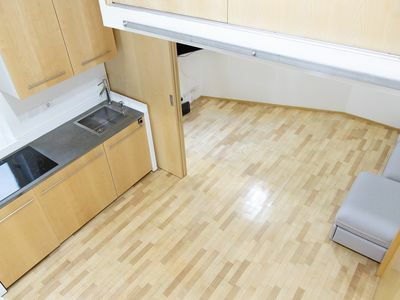 The kitchenette is equipped with a four-burner gas cooker, a small refrigerator without freezer and an Italian-style coffee-maker. The dining table can accommodate six guests. In this room you will find a satellite television (local channels). From the living room you will be able to enter the patio through a French door. The room has a window with a view of the garden. You will be able to enter the first bedroom from the corridor. 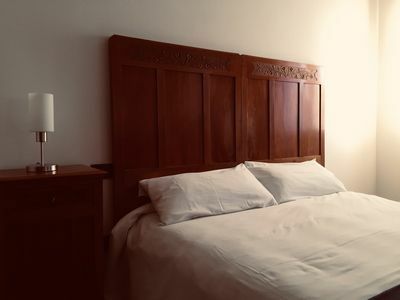 The bedroom has a traditional wooden matrimonial bed (160 cm/62 inches, wider than a queen-size bed). From the bedroom you will be able to enter the patio through a French door. You will be able to enter the second bedroom from the corridor. It has two wooden twin beds (80 cm/32 inches). The room has a window with a view of the countryside. 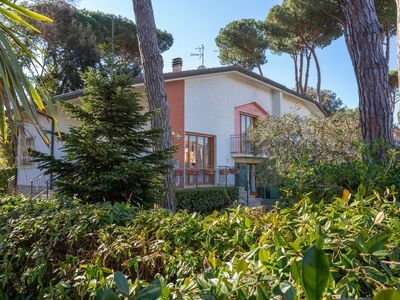 This villa, in San Marziale, boasts a gorgeous valley view sleeping 6 people. 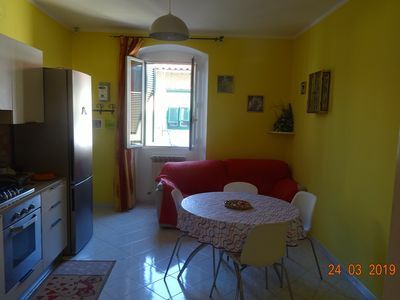 Entire apartment of about 65 square meters, with two bedrooms and a very large bathroom.